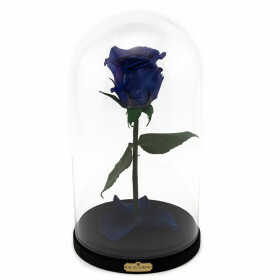 Enhanced rose from "Beauty and the Beast" it is much more than just a rose in a glass dome. 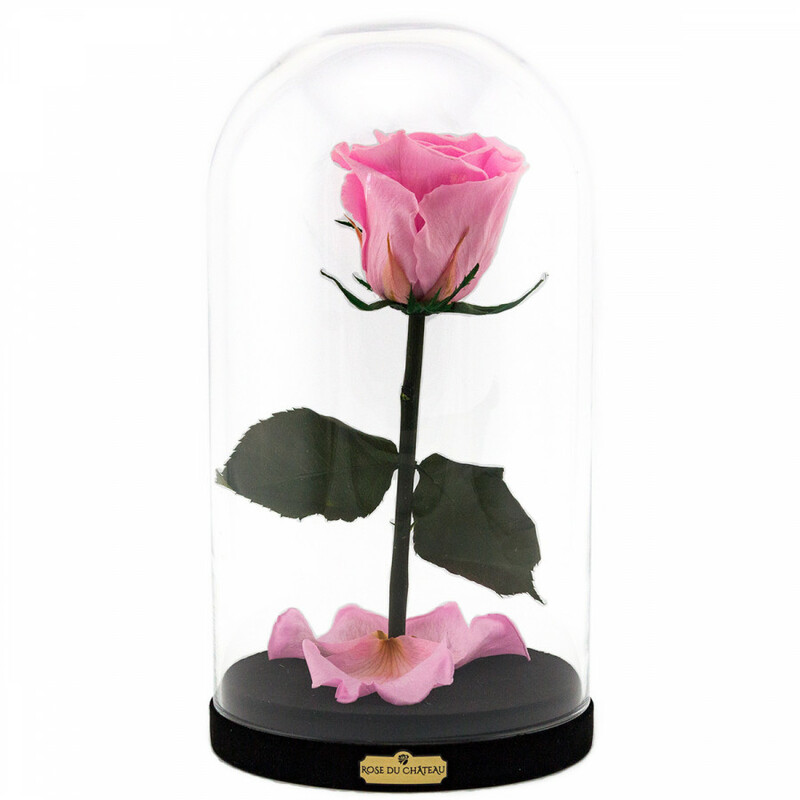 This is a story about love, gift completely unusual and unique. It is like this, we know from Disney fairy tails. 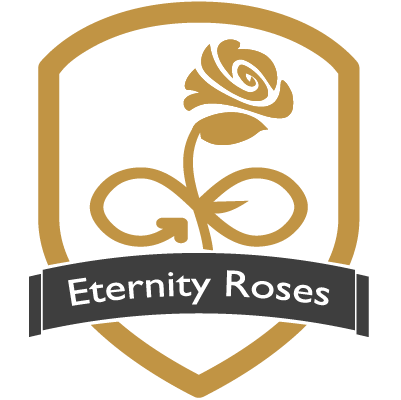 The flocked base placed eternity rose, which through the process of stabilization will retain its appearance for two years. 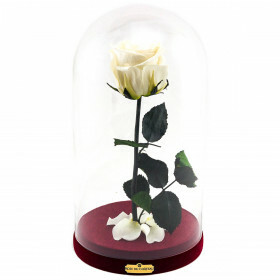 Surrounded by the petals, and all that is placed in a glass dome. It will surely be an unforgettable surprise. 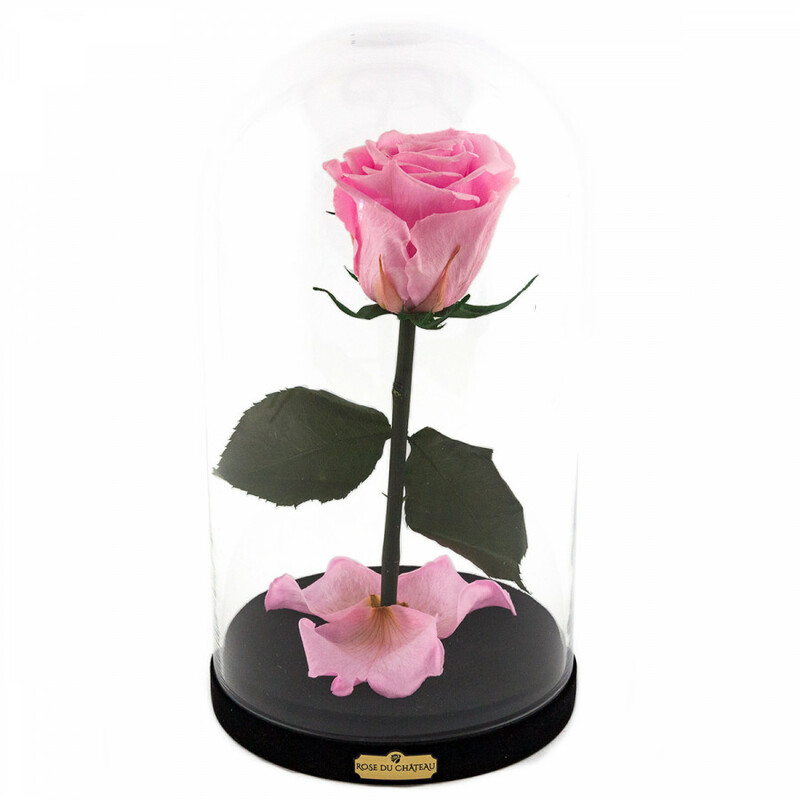 Pale pink rose is a perfect gift for people who like delicate and soft colors.